On this edition of StudioTulsa, we speak with the artist's wife, Wendy Rodrigue, who continues to dedicate her work to furthering Rodrigue's reputation to an ever-wider audience. As we learn today, she is especially engaged with speaking to young people and school children, who may have never set foot in an art institution to see an original piece of art. Wendy Rodrigue talks about that passion -- and about the exhibit that is on display through February 17th in Sand Springs. Artist Georgia O'Keeffe didn't spend her entire career painting large, lavish flowers. The curator of the Georgia O'Keeffe Museum in Santa Fe, N.M., says that comes as a surprise to many people. 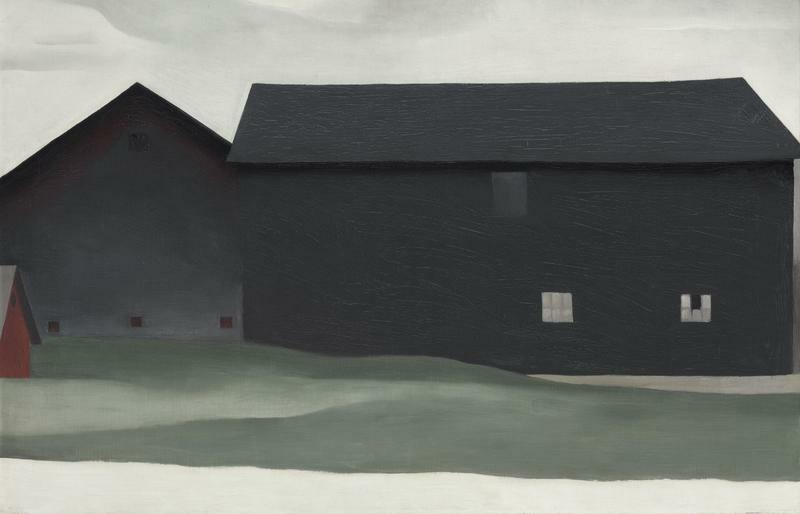 Now, the museum has purchased The Barns, Lake George, a rarely seen 1926 abstract painting that makes the point and helps the institution tell more of her story.